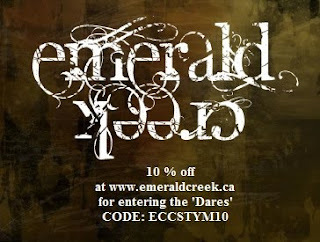 For this month's EC Anything Goes Dare I made a snow inspired seasonal card. I love the crisp whites, cool blues, and shimmery tones of iridescent and silver sparkle that come with a winter wonderland. 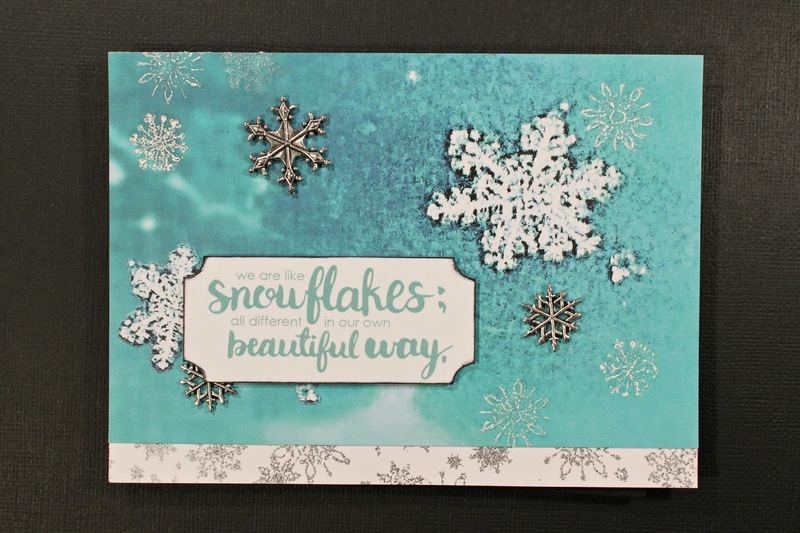 I used a 4x6 Wild Whispers card as part of the base and then added a bevy of beautiful snowflakes; both stamp embossed and metal. 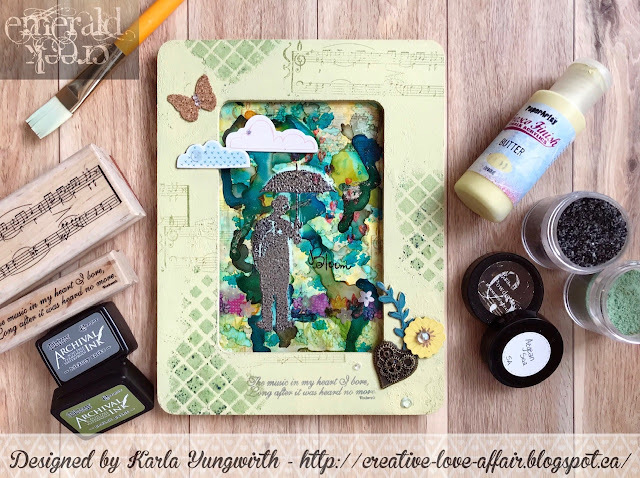 You can find out more on how to create this beauty on my blog. Wishing you all the best of the Holiday Season!